As Zero tries to teach Douglock about sentience & individuality while warning him about the threat of Stryfe's droids, who are targeting Zero & anyone with which he comes in contact, Britanic sets Excalibur's craft hovering nearby, unsure of why he was called to the location. As they wait, Kitty takes the opportunity to call her mom. 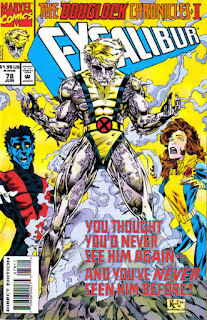 Meanwhile, Xavier arrives on Muir Island to help Moira combat the Legacy Virus, while back in Maine, Zero encounters a family of campers, then helps unlock Douglock's memories of Doug Ramsey. 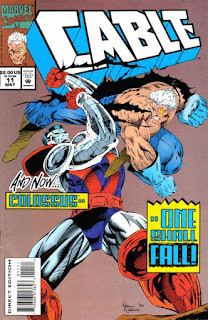 When Stryfe's droids attack the family, Britanic and the rest of Excalibur spring into action to save them, with both Zero & Douglock joining the fray. They manage to destroy the droids, but as another wave arrives, Zero teleports everyone out of harm's way. 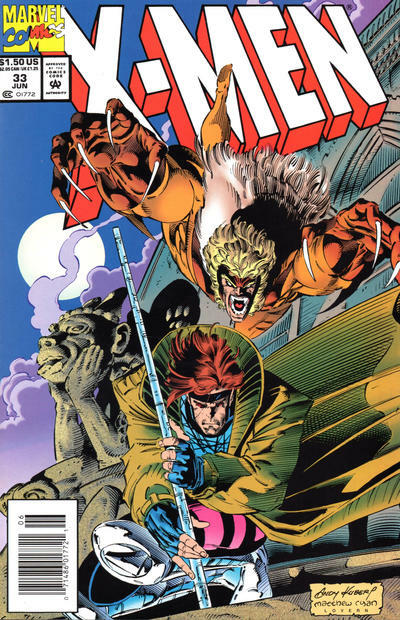 As Domino & Shatterstar infiltrate Strong Industries to acquire an artificial intelligence chip in development there, Rictor & Warpath tail a scientist working on the project in order to obtain copies of documents involving his work. 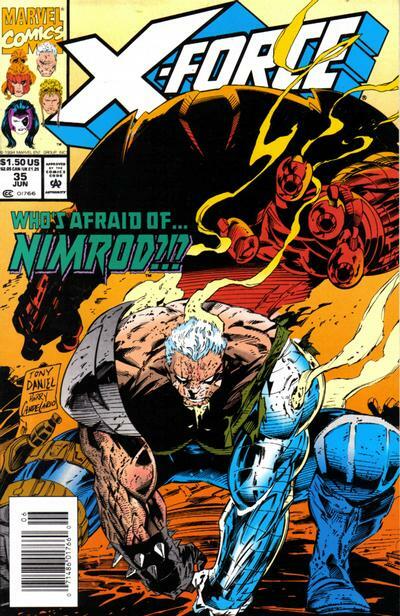 Cable, worried the US government is taking a step closer to initiating full scale mutant genocide, brings the evidence to Forge and acquires intel on the government's Sentinel base at Camp Hayden. Later, Siryn meets with Banshee and asks him for information about Nimrod. At the Guthrie farm, Paige insists to her brother that she intends to attend Xavier's School. 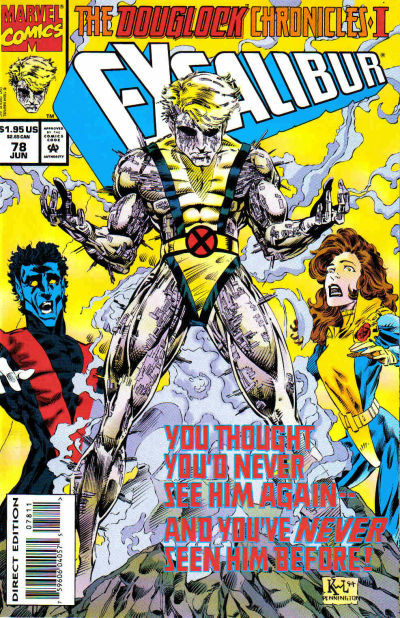 At Camp Verde, Cable briefs the rest of X-Force on their mission to infiltrate Camp Hayden and put a stop to whatever artificial intelligence is being developed there. Using uncharacteristic stealth, their attack goes well until the AI activates itself and proceeds to easily defeat the team in the form of a rebuilt Nimrod. 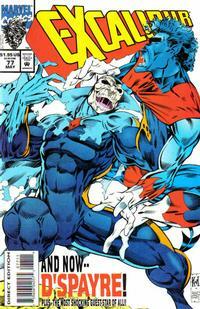 Nightcrawler & Daytripper defeat D'Spayre and free their mother. Years ago, a young Nightcrawler is devastated when his best friend Christian tells him they can't play together, because Christian's father believes Nightcrawler to be a devil. Nightcraler is consoled by Margali, who tells him love always lass longer than hate. In the present, Nightcrawler rescues the gypsy boy targeted by the D'spayre-influenced mob, then hatches a plan with Amanda to defeat him. Meanwhile, Zero is targeted by a pair of robots programmed by Stryfe, but manages to escape them. 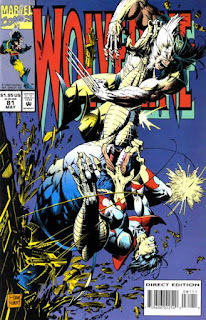 Back in Germany, Nightcrawler attacks D'Spayre, using his happy memories of the time an adult Christian reunited with Nightcrawler and made amends as a shield, while Amanda takes advantage of D'spayre's divided attention to quell the mob. Defeated, D'Spayre disappears, vowing to return. 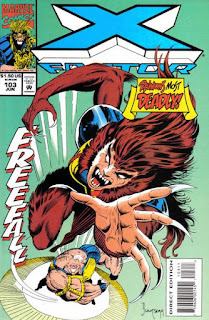 Nightcrawler then admits to the rescued Margali that he was furious with her for keeping his true parentage a secret, but that he could never hate a woman who has only ever acted out of love for him. Meanwhile, a damaged Zero is joined by one of the Phalanx, who says he is Doug Ramsey. In the wake of "Child's Play", Rictor goes home. 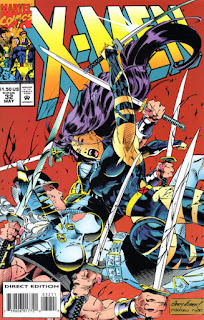 In the wake of the Gamesmaster's defeat, Moonstar reveals she is in fact Dani Moonstar, former New Mutant, then departs, with X-Force unwilling to try and force her to stay with them. Outside, Magma breaks things off with Empath, who leaves himself, and Warpath tells Magma X-Force can drop her off in England on their way home, as she hopes to search for her family. Meanwhile, Shatterstar shows Rictor a news report that his uncle & cousin were shot in a gunfight with Mexican police, prompting Rictor to reluctantly return home. 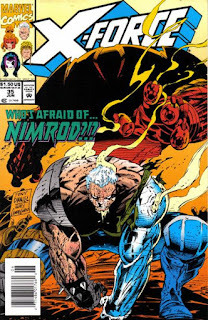 Later, he is reunited with his family, but remains disgusted by their involvement in the illegal gun trade, while Cable's presence draws attention due to his physical similarity to Stryfe, who killed Rictor's father, triggering a fight. But Rictor uses his power to defuse the situation, then visits his cousin in the hospital, telling him he belongs in prison. When his cousin accuses him of being too good for his family now, Rictor admits he's not, but that he's trying to be. 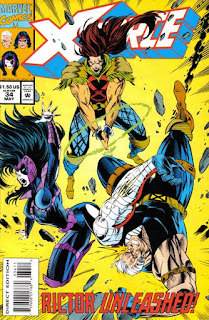 "Soul Possessions Part Two: The Leopard and the Cats"
Psylocke & Archangel, soon joined by the rest of the X-Men, battle Spiral, who drops some cryptic words to Psylocke before dancing away. 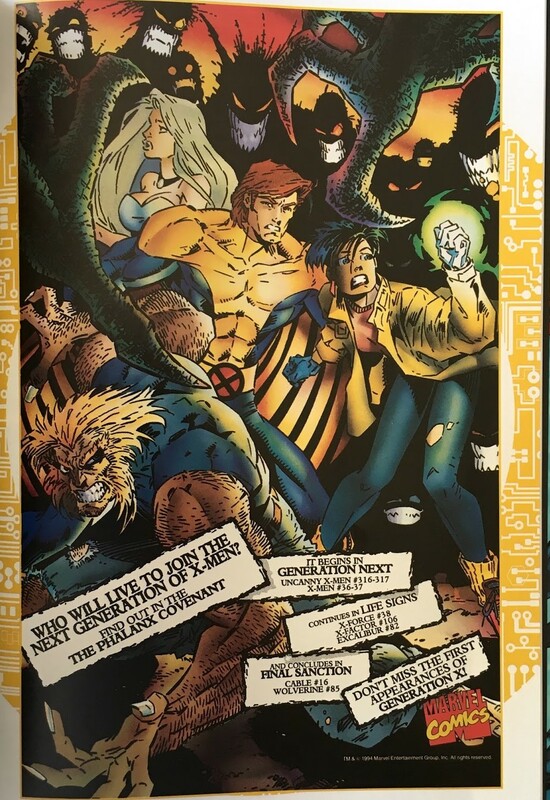 Deciphering Spiral's words, Beast & Banshee manage to access the memory banks of Revanche's bionic eyes, allowing Psylocke to watch how Spiral helped Matsuo and the Hand meld her mind with Kwannon's, creating two women who are each a part of the other. Psylocke then tracks down Matsuo, who has killed Lord Nyoirin and, in the wake of Revanche's death, intends to die himself. But Psylocke convinces him to honor Revanche's death by choosing to live. 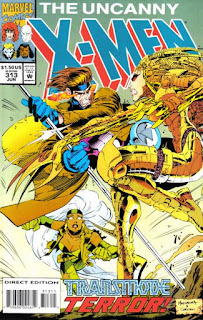 She then returns to the X-Mansion and with Archangel at her side, tosses the bionic eyes into the lake, declaring that she has met the challenge to her identity posed by Revanche, and became a better, stronger person for it. Arrving on Muir Island, Zoe Culloden helps Excalibur subdue a raving Wolverine, hallucinating from Cyber's poisons. Meanwhile, Cyber pulls himself from the ocean and commanders a speed boat, heading to Muir Island. 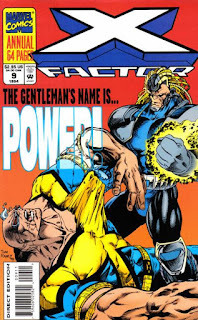 As Excalibur debates the best way to treat Wolverine, he wakes up and attacks again, thinking everyone is Magneto. Outside, Cyber arrives on the island and knocks out the power. 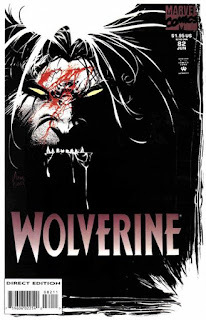 When Wolverine lunges at Kitty, she phases through the attack, but the shock of having almost killed her brings him to his senses. 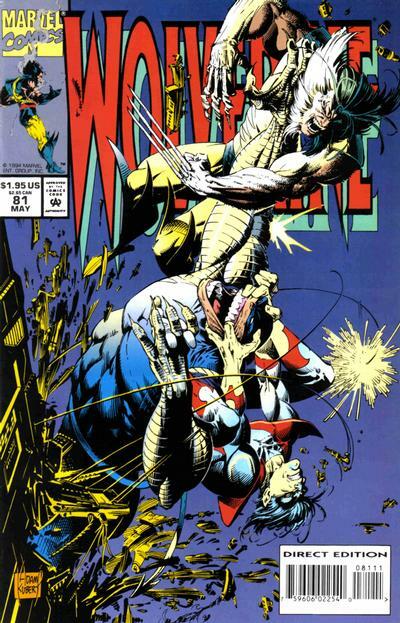 Just then, Cyber attacks Wolverine, knocking them both into a cell. Kitty rushes inside, telling Zoe to close the door. As she does, Kitty phases herself & Wolverine out of the cell, leaving Cyber trapped inside.